Bucharest Airport (OTP), commonly known as Bucharest Henri Coandă International Airport is the busiest international airport in Romania. It is located in Otopeni, a little more than 16 kilometres from Bucharest. In the last ten years, the number of passengers that the airport welcomes annually has almost tripled. The most popular flight routes from Bucharest Airport are to London, Rome, Paris and Vienna. 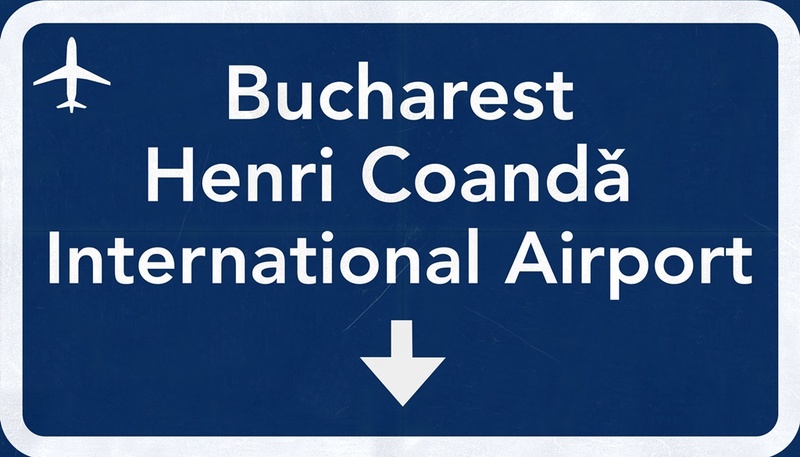 Airport shuttle: Bucharest is connected with Henri Coandă International Airport with a regular direct shuttle bus. Bus departs from the bus stop in front of airport terminal and runs to Terminal Memento Bus (closes to Bucuresti Nord train station). In the table below you can find the timetable of shuttle bus departures and buy your ticket online. The price of a one-way ticket is 7.7 lei (1.7 eur). Children of age 5-10 pay half of the price, and children under 5 travel for free. Taxi services: Bucharest taxi drivers are known for always trying to rip off the tourists, so be careful. Romanian law has even prohibited taxi access in public parking, so make sure you get yourself one of official airport taxis which wait outside the Arrivals Terminal. The price is usually 1,39lei/km to 3.5lei/km. Also watch out for the taximeter and negotiate the price before you enter the vehicle. Transfer: In case you need a direct ride to your accommodation and you don’t have that much time to waste on public transportation, then go for door-to-door transfer, especially if you have a lot of suitcases. The driver will wait for you in the Arrivals area with your name sign. Don’t worry if your plane is late, the company monitors your flight arrival. Renting a car at Bucharest Airport: Services like Avis, Budget and Europcar offer car rental directly at the airport. Their offices are located in the passageway between the Departures Terminal and the Arrivals Terminal. Or you can simply book your car online. Renting a bus at Bucharest Airport: Consider booking a bus in advance in case you are coming with a larger group of people. After doing so, the bus rental companies will inform you on the pick-up point. A: That won’t be a problem since the local bus lines run throughout the day, particularly line 783 which operates from 0:30 to 23:30, approx. every 30-40 mins. Q: I would like to spend one day in Bucharest in between flights. Is that possible? A: Sure thing. Take the local bus or train which will take you directly from the airport to the main square/main train station. From there, you can basically go to any part of the city by foot or by any mean of public transport. Even though there are no luggage storage services at the airport, you can leave your luggage at the facility located near the station of bus line 783 in the city centre. Q: I am continuing my journey outside Bucharest. Are there any direct bus lines from the airport to other cities? 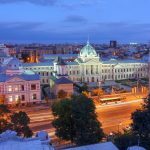 A: You should first go the city centre and from there choose one of the popular routes from Bucharest, like Bucharest – Varna (BG), Bucharest – Bratislava (SK) . Or you can check other routes by yourself on getbybus.com. A: Yes, the ATMs are located at Departures Terminal (Unicredit, Raiffaisen, Bancpost, etc.) and you can exchange your money at one of the banks located at passage between Arrivals and Departure Terminal. Don’t forget – the official currency in Romania is lei, and not euro, so make sure you exchange some before your flight. Hello… If I buy train tickets from Brasov to P.O. Aeroport H through the CFR calatori website, will I need to buy another bus ticket in P.O. Aeroport H to take me to the airport (through the mini bus)? Let me know how can I get to airport from the center of Bucharest by BUS. Taxi service what I didn’t like because as a tip the driver took 10 extra Lei and I could not be on time my luggage and he demanded 20 Lei for coming back and giving luggage. It seems, it was his interest.